Dr. Taneja has an extensive experience in Plastic and Cosmetic surgeries. She has been trained in all aspects of Plastic and Reconstructive surgeries and Craniomaxillofacial surgeries at University of Southern California, Los Angeles. She has been a chief resident at University of Medicine and Dentistry of New Jersey. 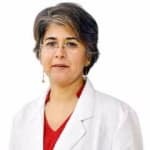 She is certified from American Board of General Surgery and American Board of Plastic Surgery and has a number of publications and research papers to her credit. Dr. Rashmi Taneja is one of the best Cosmetic/Plastic Surgeons in Vasant Kunj, Delhi. You can consult Dr. Rashmi Taneja at Fortis Flight Liutenant Rajan Dhall Hospital - Vasant Kunj in Vasant Kunj, Delhi. Book an appointment online with Dr. Rashmi Taneja and consult privately on Lybrate.com. Lybrate.com has an excellent community of Cosmetic/Plastic Surgeons in India. You will find Cosmetic/Plastic Surgeons with more than 38 years of experience on Lybrate.com. You can find Cosmetic/Plastic Surgeons online in Delhi and from across India. View the profile of medical specialists and their reviews from other patients to make an informed decision. Very detailed and good. Approachable, makes you understand the options. Not rushed. I had pimples and become small holes How can I get smooth skin and pimple less face. A quick and easy solution can be found in your kitchen or your nearest grocery store — lemon juice. Lemons have vitamin C that can lighten dark spots on your face. It’s easy to apply. Put some fresh lemon juice on a cotton ball and rub it directly on the affected skin area. 1. Allow it to dry and then wash it off with plain water. 2. Continue applying this dark spot removal home remedy for at least two weeks to get the desired result. If you have delicate or sensitive skin, you can dilute the lemon juice with plain water, rosewater, or honey. You can also use lime juice to get rid of black spots, applying it in the same manner as described above. I am suffering from hair loss from last year. Give suggestion to stop it. Provide home remedy as much as possible. Hair fall may be attributed to different reasons like using artificial colors, hair styling, chemicals etc. It may be due to some internal weakness also. Please go for herbal neem shampoo. Use shikakai and amla as conditioner (soak amla and shikakai in water overnight and boil a little in morning). Apply it on hairs. Keep for half an hour and then wash. It will condition the hairs. Avoid using comb in wet hairs. Is their any kind of problem if the face is not washed before going to sleep, for after being under the sun and pollution for all day long? Does this kind of practice leads to any kind of skin disease?// Please help me. How to find out how my skin type is? You sshould wash face after you are home after a field job as the dust/pollution can give rise to various kinds of skin problem like Face allergy,Pimples,rashes etc. Dull & Lifeless Hair - 10 Ayurvedic Ways to Treat It! Hair is one of the most attractive aspects of a person. A head full of shiny, dark hair can turn heads while head with dry, lifeless, damaged hair has lesser appeal. There are definitely simple, but effective ways of inducing life back into the hair. Read on to know some of the most common causes of dry, damaged hair and how it can be reversed to enjoy healthy, shiny hair. Causes: Nutritional deficiencies, excessive exposure to the sun, air-conditioned environments, excessive use of hair dryers, unhealthy hair products, can all affect the hair, making it dry and dull. Hair is so affected can be lifeless, break easily, have split ends, and fall easily. The shine and texture are affected and the scalp also lacks moisture and feels dry. Treatment: Lifeless, dull hair need not be a reason to lose sleep. There are simple measures which would be readily available in most homes, have been used since ages, and have proven beneficial beyond doubts. Eggs: Rich in proteins, eggs are one of the healthiest products for hair care. They promote the growth of keratin which is essential for hair growth. Lime: Lime has antibacterial properties and is rich in vitamin C. This helps clear scalp infections and promotes hair growth, which is healthier. Olive oil: It reduces dandruff, treats split ends, and restores shine and smoothness of the hair. Coconut oil: One of the most commonly used hair oils, it moisturises the hair and reduces dandruff and restores shine in the hair. Curry leaves: Adding curry leaves to coconut oil and warming it to apply on the scalp helps immensely in restoring life to hair. A warm towel can be used to wrap the hair when the oil is left in place for about 15 to 30 minutes. Henna: Rosemary or henna as it is commonly called is another way to condition hair and restore the shine and lustre back. It strengthens the hair cuticles and makes it less prone to breakage. Avocado: In addition to preventing hair damage, it also reduces hair loss and improves hair health. Olive oil: This reduces dandruff, and so improves infections which could be affecting hair health. Hibiscus: This helps repair damaged hair, improves volume, and reduces hair loss too. The leaves and the flower are used as a paste that is left for about an hour and rinsed off. In addition to all these, gentle brushing, not brushing wet hair, proper diet, and good sleep are equally important for shiny, healthy hair. I'm 18 years old and over the period of last 1.5 years I’ve lost A LOT of weight. Without trying. Unexplained. My face looks VERY thin and WRINKLY. If I gain back weight. Will it go back to being plumpy and will The wrinkles go away? I havae many musse(moles) near my neck. How to get rid of it. Also I have red colour mole type things , how to get rid of the same? I am black in color ,n oily face which makes my face look ugly in day time ,I hav black heads n dead cells ,n dots in my face ,soo I wanna be fairer looking good ,please suggest me good medicine to be fairer n reduce oily skin .thanks ,waiting for your solution asap. apply a face pack made up of multani clay, cucumber, chiraunji, haldi, jaiphal gulab JAL n honey for ten minutes. I want to know how can I take care of my skin in summer season I mostly be on road as marketing reason? Hi, start using sunsreen lotion above spf 30 .Include citrus fruits and salads in your diet for complexion.Don't use any bleaching agents for skin.Apply plain cream or lotion which doesn,t have harsh chemicals.Take medicine R-60 drops (Dr Reckweg ,Germany) 10drops in 1/4cup of water drink twice a day ,1/2 an hour before meals. How Can You Deal With Skin Rash? A rash is a distinct change noticeable on the skin. The change may be on the skin color or the skin texture. It might make your skin scaly, itchy, lumpy and even irritated. You might get skin rashes if you are allergic to a particular substance, or if you are under some medicine which may have a side effect. Many cosmetics may also trigger skin rashes. Certain diseases like chickenpox or measles also cause the appearance of skin rashes. Care at home: With a sudden outburst of rashes, wash the affected area with water and mild soap to cool it down. Make sure you don't scratch there even if it itches, as that may cause infection. You may also apply ice to help it cool down. Avoid sunlight as much as you can, as it will aggravate the condition. Wear loose fitting clothes so that there is minimal contact of the fabric and the skin as such contact may make the rash itch. Avoid using perfumes or deodorants as even they might set of the itchy feeling. Use a mild soap while bathing. Use hydrocortisone cream: Hydrocortisone cream is also known as anti-itching cream. It helps to reduce the itching and redness as well as lessen the swelling. Hydrocortisone is a mild form of corticosteroid. Make sure you don't use it if the affected part is infected or sore because then the results will be the opposite from the one you want. Use calamine lotions: Calamine lotions will give you relief from the pain caused due to the skin rash. It will also relieve you of the itching and the irritation, which the rash causes. It will also help ooze dry and watery discharge from the rash. If you are pregnant or lactating, consult your doctor before using calamine lotions. Have antihistamine tablets: If the skin rash is due to an insect bite, then you can take antihistamine tablets for it. These tablets reduce itching and lighten the rash until it disappears. Even when you are using any of the above medicines, make sure you are not allergic to the ingredients of the medicine as that will just cause more complications.